A true winter pack for exploration into deep snow, frozen waterfalls and ice-fractured mountains. Designed to support the weight and rigours of carrying your winter gear each Variant has an integrated peripheral frame with a molded backpanel. The contoured harness and removable hipbelt stabilises your load. The innovative front compression shield secures crampons, snow shovels, probes and wet ski touring skins. Side ski loops bridge the gap between climbing and ski mountaineering. The main entry to the Variant 37 is through a floating and removable top lid, which means you can overload your pack like a packhorse or remove the lid totally for greater head clearance and lighter weight. 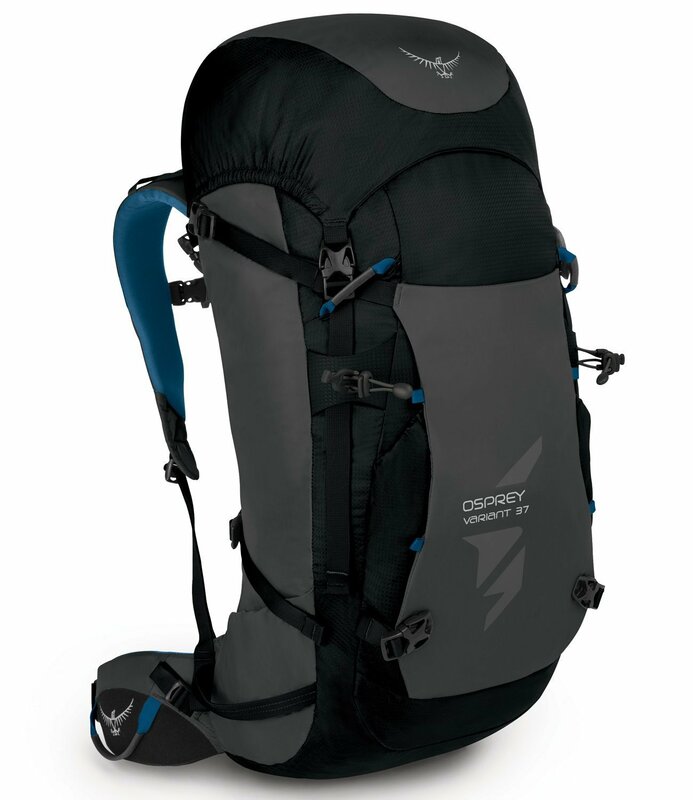 Lesser climbing packs have minimal weather protection and compression when in this mode, but not the Variant 37. Utilise the built-in FlapJacket that not only provides a weatherproof closure; it keeps your gear fully compressed. Our twin ice-tool holster accommodates any type of climbing axe and holds it securely between two layers of HDPE, protecting the pack and it’s contents from axe edges. Depending on your needs of that particular day or route you have the additional ability to strip up to 620g from the total pack weight by removing any features you won’t need. The Variant 37 is designed to perform in the mountains.